Here Are Five Starter Ideas. Do You Have Any More? SeniorsSkiing.com’s Spring 2016 Survey revealed a pretty interesting statistic. Half our respondents—49.33% to be precise—were interested in meeting other seniors to ski with. We know that many people drop out of snow sports because their spouse either isn’t able or isn’t interested in winter sports. An alternative to quitting is to find kindred spirits. Here’s an attempt to get some ideas flowing. 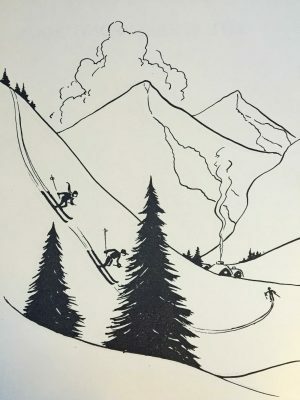 If you have any other ideas or are a member of a ski club or group looking for members, please go to SeniorsSkiing.com’s Forum and post a comment in the Meet Up/Get Together category. 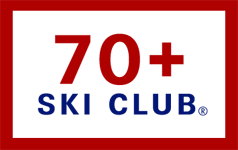 1) Check the 70+ Ski Club. They specialize in trips but may have knowledge of standing clubs also, based on their experience with their clients. They are a SeniorsSkiing.com advertiser so just click on one of their ads on this page. 2) Next, try the National Ski Council Federation, an association of ski clubs. Look up your state and find clubs in your area. You will get the names of the clubs and the email address of the regional council president who can give you a steer. 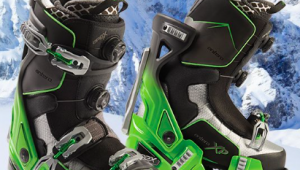 The Ski Council also offers discounts and other benefits for joining. 3) SeniorsSkiing.com has a Forum for people who want to meet up and get together. Just click on Forum in the upper right in the blue menu bar or click here. You’ll be asked to register. Please give this a try. 4) Get in touch with some of the resorts in the area you want to ski. Chances are, the General Manager or Marketing Director might know of formal or informal groups that get together mid-week. In fact, the resort might sponsor a club of its own like Waterville Valley’s Silver Streaks. 5). Click on over to MeetUp.com, a site that is specifically designed to get people with mutual interests together. You can zone in on your local area or expand outwards, depending on your interests. When we checked, there are lots of opportunities for people to get together for skiing and snow sport activities. Of course, another option is to show up mid-week at your favorite resorts and look for the guy or gal eating lunch alone. One of the reasons we started SeniorsSkiing.com is because we saw lots of folks having lunch alone in ski lodges on a mid-week afternoon. Say hello, who knows, you might make a friend. You are certainly not alone in looking for ski buddies. Please let us know what else can work out there. Around 2012 I saw a chap with a 70+SKI CLUB patch on his jacket, asked what that was all about, and went on line to 70+ski club .org. In 2014 I finally signed up for 70+’s trip to Vail, enjoyed the friendly group so much I immediately signed up for their Lake Louise trip a few weeks later. I have been a member of a ski/travel club in Austin Texas and had few people my age to ski with. I moved to Houston and the club I joined was less that a good experience. 70+ SKI CLUB has provided the format to meet and ski with folks my age, currently 79. I have made friends thru the club and have had them visit me at my Durango ski home as well.